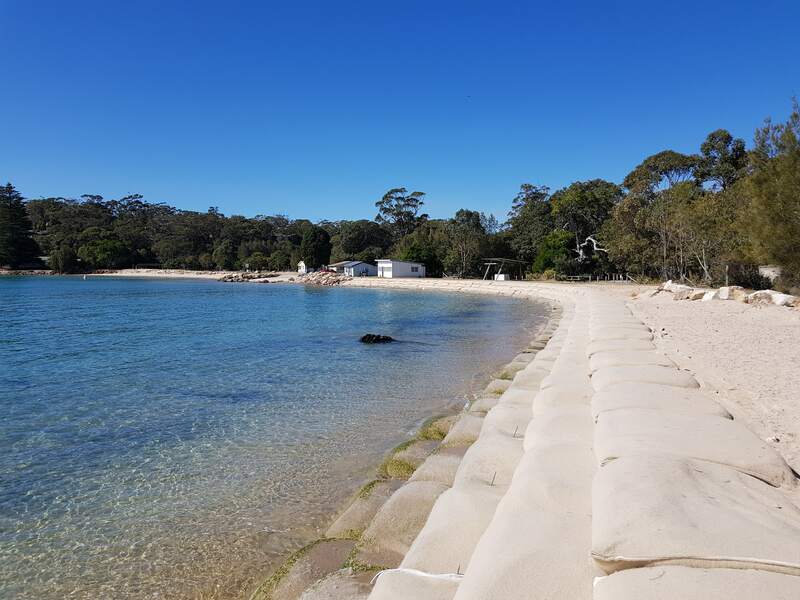 The ELCOROCK system consists of sand-filled geotextile containers built to form a stabilising, defensive barrier against coastal erosion. The geotextile containers are made from Texcel, a durable staple fibre geotextile. It’s a versatile system ranging from hand-filled 40kg containers to hydraulically-filled 300 tonne mega-sand containers and tubes. The ELCOROCK shoreline protection system has been proven through over 20 years of use in harsh coastal environments. These structures have withstood coastal abrasion, vandalism, UV damage and even Category 5 cyclones. The ELCOROCK system is supported by extensive research and development and superior design support. 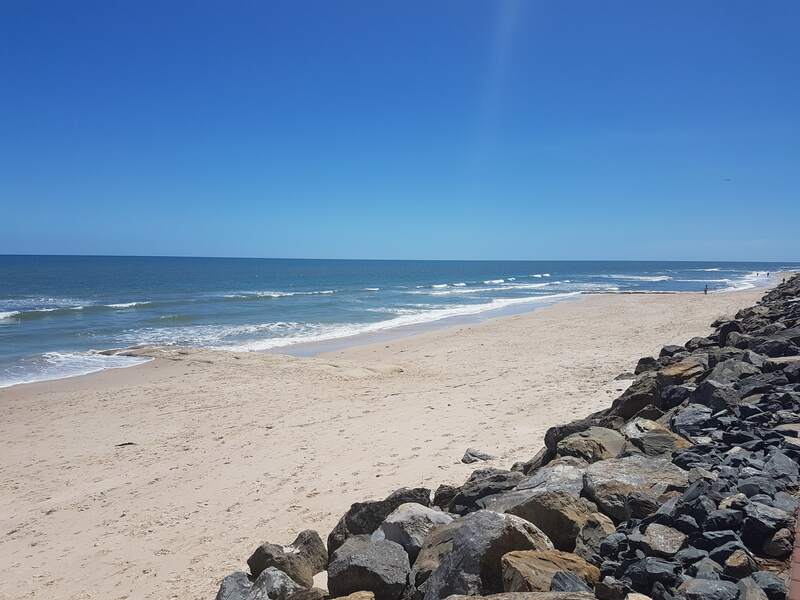 It provides a cost-effective alternative to traditional coastal erosion protection systems made from concrete, rock armour, steel or timber. It increases public amenity of foreshore areas and enhances the environment. Because of their strength and flexibility, ELCOROCK geotextile containers are widely used in the construction of sea walls. They have several advantages over traditional sea wall methods including reduced beach contamination from loose rock. Containers can be filled with sand and other easily sourced materials, and the system improves the general amenity of the area. ELCOROCK’s durability and versatility make it ideal for marine structures that need to provide foreshore protection under harsh conditions. The containers are suitable for the construction of groynes, breakwaters and artificial reefs. ELCOROCK geotextile containers are durable and abrasion resistant. They are also available in a number of sizes and shapes suitable for use in river systems. The ELCOROCK container structure is a fast, economical way of building bunds or temporary emergency works, which are easy to remove once the structure has served its purpose. It is suitable for installation even in difficult areas and under tough conditions. ELCOROCK is manufactured in Australia providing full traceability of production to delivery on site. The system has a proven track record while being exposed to harsh Australian and international coastal conditions over the past 20 years. ELCOROCK is abrasion and UV resistant, environmentally friendly and retains more soil and sand particles than other products. The high level of research conducted and the long-term performance of existing ELCOROCK structures ensures detailed design can be performed, including structural stability in aggressive wave conditions. ELCOROCK is extremely user friendly, adds to local amenity and reduces the potential for injury and public liability when compared to traditional hard . The flexibility of an ELCOROCK structure allows enhanced environmental amenity, through focussed planting or intergration with the surrounding environment. It is recommended that a ELCOROCK is installed to an engineered design to ensure that appropriate sized containers are specified to meet the coastal environment including wave action and size to prevent failure of the system. We can assist with initital design suggestions and referral to an approved coastal designer if required. Comprehensive installation instructions are available for each size of ELCOROCK container. We can provide onsite installation support and referral to approved installers if required. ELCOROCK containers are supplied to site flat packed for ease of transport. Specialist filling equipment is used to ensure that the maximum mass and volume can be achieved for each container. Geofabrics can also supply J-bins for placement of the containers into position. 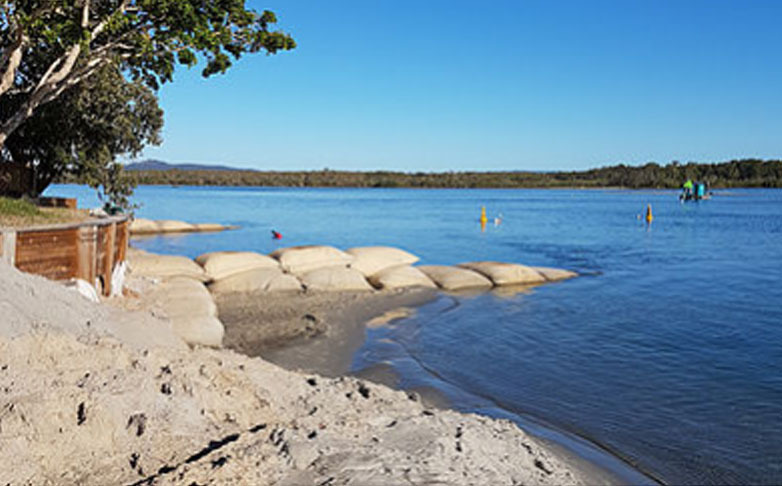 This system of using local sand fill offers flexibility of design and a robust solution in coastal, river or other dynamic applications where environmental impact must be minimised.